Capital Business Centre at CBC House offers flexible, cost effective, quality Serviced Offices for new business start-ups, established companies, as well as temporary space requirements. All of our fully furnished office suites are rented on flexible leases and there are no legal requirements or hidden costs. This gives you the freedom to move in straight away and thereafter to grow within the building, adapting alongside your changing business needs. We also offer your company additional business support services and meeting facilities that can be taken advantage of on an ad hoc basis. All of your facilities management is taken care of by our friendly professional team, who can provide anything from secretarial administration support to telecoms and IT support. 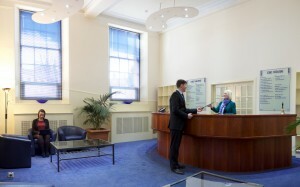 If you require more information about our serviced offices, or would like to book a tour of the centre, please contact us.